Just before Christmas, Intergas launched its two latest additions, the Xclusive and Xtreme, which are packed with even more built-in features. 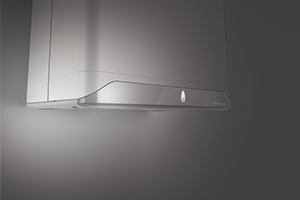 Both have an easy-to-use illuminated touch screen display panel, a central flue, an expansion vessel incorporated within the boiler, a combined PRV and condensate connection, an integral filling loop and dual OpenTherm inputs. They have a boiler modulation range of 1:9 for heating and domestic hot water to maximise efficiency, and an exceptional flow rate which ranges from 11 – 15 l/min. But Intergas has taken energy efficiency to another level with the Xtreme; it has a built-in passive flue gas heat recovery (PFGHR) unit to reclaim more heat from the waste gases than a conventional condensing boiler can achieve, which means even less energy is needed to provide hot water for the home, while reducing CO2emissions and lowering energy bills still further. They come fitted with an RF module as standard which, when connected to the Intergas Comfort Touch system and free app, gives installers exceptional access to the boiler’s operation (via their mobile devices). Homeowners have a free app that not only turns their smartphone into a smart thermostat but gives them the freedom to programme their central heating and control temperatures on the go. See the Intergas website for more information.